A heart-shaped face has a wide forehead and a narrow chin along with high cheekbones. 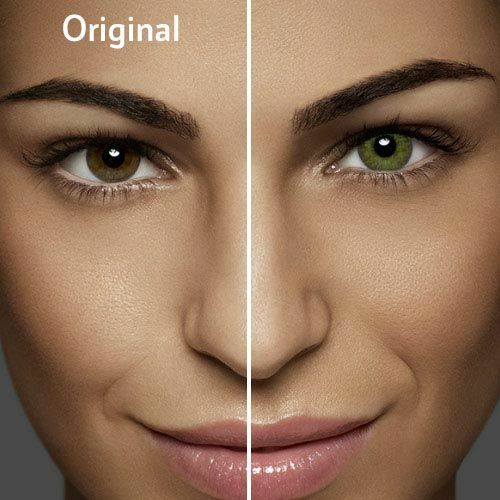 Mostly, women with this shape have a small face, so light frames are perfect for them as dark and heavy frames overpower the natural beauty of such faces. 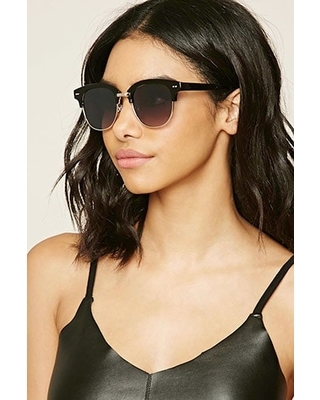 Also, sunglasses having a detailed bottom with floral or animal prints are right for this upside down triangle face as the frames strike a balance with the forehead. With a wide top like your forehead and a tapered bottom resembling the shape of your chin, aviators complement a heart-shaped face. The size of the frame should be proportionate to your face. The pointy edges and sharp temples of such sunglasses subdue the broadness of your forehead, drawing attention towards the frame. The shape of a classic pair of wayfarer is characterized by an expansive upper part that makes your prominent forehead appear smaller, hence striking a balance. 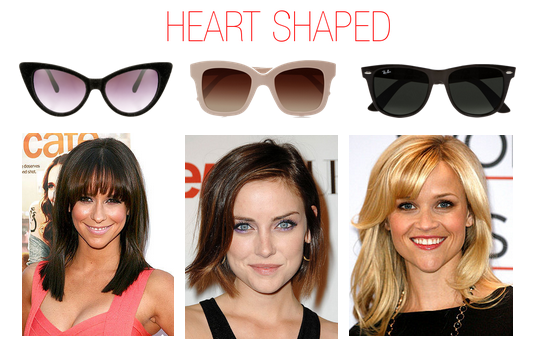 The rectangular lenses preferably in thin metal frames are ideal for the natural curve of a heart-shaped face. 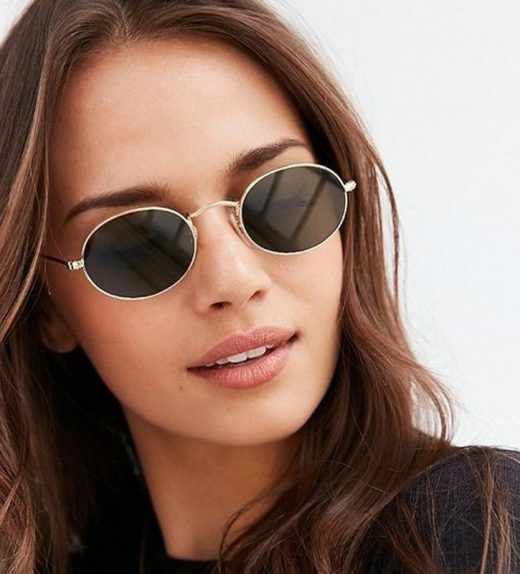 If you have a big and long face, try styling your look with such sunglasses. 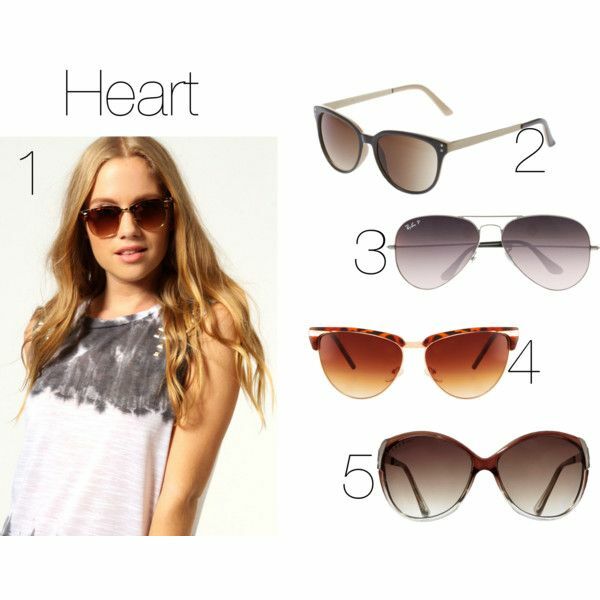 These sunglasses give a softening effect to the angles of a heart-shaped face. As far as the size is concerned, never go for oversized ones, as they are sure to highlight your already defined cheekbones. So, keep it simple and not over-the-top. Buying rimless or semi-rimless frames are also a good decision as they don’t contribute to your wide face furthermore. Instead, they maintain a graceful subtleness you will feel thankful for.